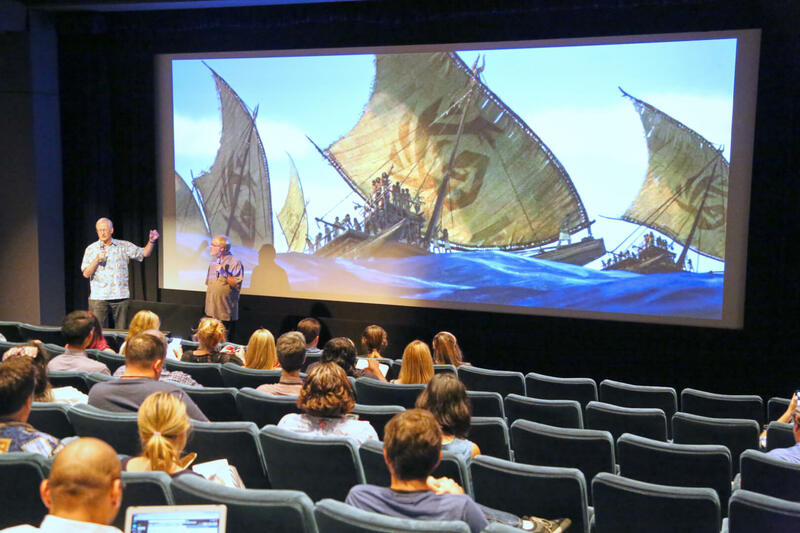 For the second part of our in-depth coverage of Disney’s newest animated feature Moana, I had the opportunity to sit down with the film’s producer, Osnat Shurer. In the interview she discusses her origins within the Disney company, her goals for the reception of the movie, and what it was like working with directors John Musker and Ron Clements. ITM: Tell us a little bit about your history with Disney, and which projects you’ve worked on in the past that you’ve been the most proud of. Osnat Shurer: I was at Pixar for a number of years before I came here, and there I oversaw what we call the Shorts Group, which was, at the time, everything that isn’t a feature film. We did original shorts, DVD shorts, DVD documentaries, theme park rides, anything. Anything at all. [It was] just super fun. It’s hard to say what was the most fun, though. ‘The Incredibles’ was super fun to work on, and we made so much cool stuff for that DVD. That was super fun. I got to work with incredible people: John Lasseter, Brad Bird, Andrew Stanton, Pete Docter, so that was awesome. 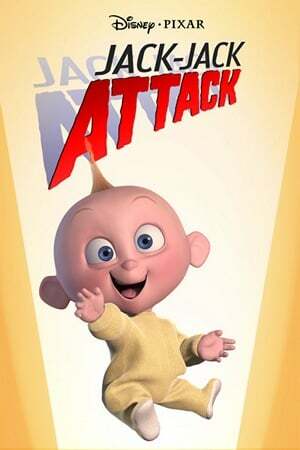 And [I] got to produce a number of shorts [that] I’m really, really proud of: ‘One Man Band’, ‘Jack-Jack Attack’, ‘Boundin”, they were all things that we were really happy about making. And then I came here overseeing development, and ‘Frozen’ was still in the making and [I] got to help just a little bit on that, but ‘Zootopia’ was really the [first] film that I could dive into in development. I was there only a few months when [‘Moana’ directors Ron Clements and John Musker] asked if I would join their film as their producer, and we all thought it was a pretty good idea. 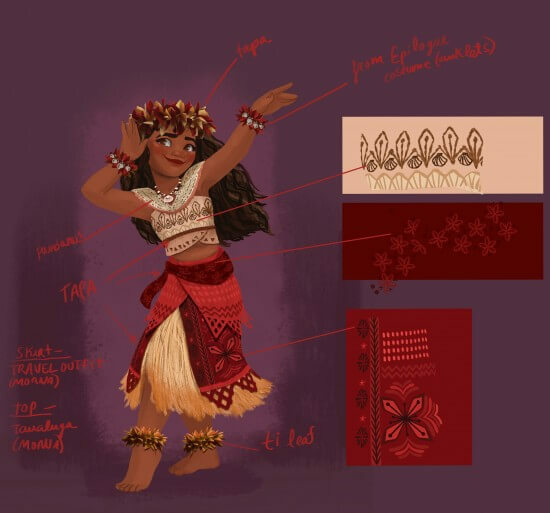 ITM: What appealed to you about working on ‘Moana’? Shurer: Well, I’d say first and foremost, the chance to make a movie with this kind of female protagonist, which is very, very exciting for me, certainly. We don’t have a great track record in films in general, in Hollywood, of telling great stories about women, especially about strong women. And Moana is a hero, and [the film is] an adventure story in which she goes out to save her world and with her, there is a really special combination of compassion and emotional intelligence and empathy, with courage and strength and bad-assery. And that’s very unique. It’s a very unique thing to pull together and to protect throughout the process of the making of the film. So that drew me. Shurer (cont’d): Also, the more I learned about the culture, as we were helping with the research, what I learned about the Pacific Island cultures blew me away and I was very surprised that I didn’t know these stories– what these guys accomplished way, way back is mind-boggling. And then we went and met the people, and then just kind of fell in love with the people– [they’re] just really really wonderful. So the chance to do something that has an homage to the people of the Pacific Islands was a big thing to me. And then [working with] Ron and John would be up there with the opportunities that draw you to a movie like this. But also the chance to work on world music, to combine music from different places. When that’s done right, to me, that’s what I listen to. That’s what I love. So, all those things put together. [laughs] And that’s just some of them. 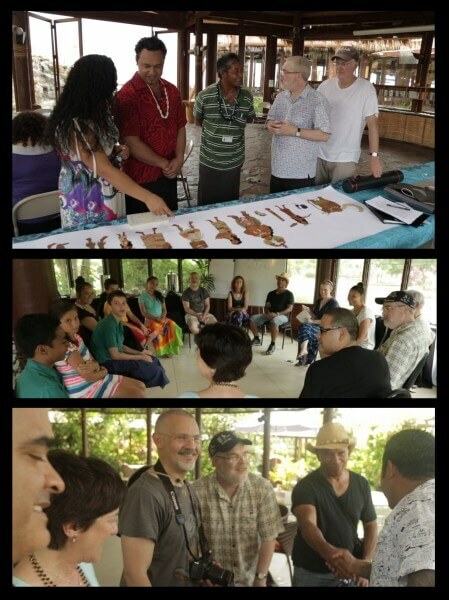 The “Moana” creative team on a research trip to the Pacific Islands. ITM: As a producer, how much interaction and input do you have with the animation team? Shurer: I tend to leave that with the directors as much as possible. We’ll collaborate at different stages in different ways. I’m very very deeply involved in the story, and casting, and music, and editorial. When it comes to the craft of animation, when I’m making a movie with Ron Clements and John Musker, [they] really don’t need my comments. On this movie, [however], I have spoken up to protect the power of our female lead. And that only needed to be said a few times so that everybody was there in that head space with me, as well. It didn’t take long, because everybody wanted that. It’s just that we default [to earlier preconceptions]. But everybody fell in love with who she’s shaping up to be, and so mostly I just sit in animation and watch and learn from the greats, to be honest. One of the wonderful things is that one of our heads of animation is also a woman, which is really super exciting. Between the level of our animators and the directors on this movie, and then John Lasseter coming in for notes, I’m more of a student than I am guidance. ITM: How has ‘Moana’ changed as a story since you came aboard the project? Shurer: Our movies are very iterative. So we will put up a screening, and then look at it with all the other directors and writers, and John Lasseter, and tear it apart and put it back [together] in storyboards. So it has changed so many times– we’ve made maybe twelve versions of this movie. The writer has said he’s at number seven hundred on [drafts of the] script. So we keep making it better until someone tells us we can’t anymore because it’s being released in the theater. So many things have changed– in her family structure, Moana used to be going out to help others who went before her and who were trapped. All the characters evolved– the Grandmother character, who’s one of my favorite characters, came [along] in maybe the second or third screening. 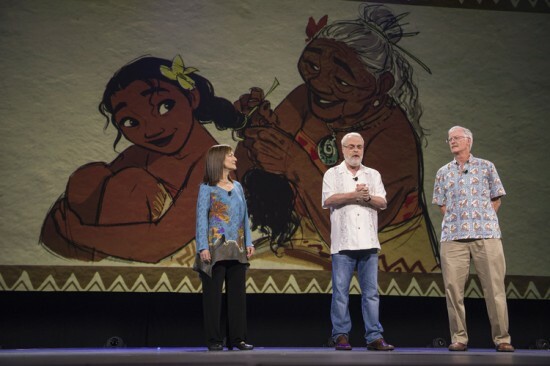 Shurer (cont’d): The dynamic between Moana and Maui, we always had a certain sense of what we wanted it to be, but it wasn’t [fully realized] until, not just when we started writing and drawing them, but also [not] until we cast them. To find that warm confidence, like somebody who can be a little full of himself, but is so charming and irresistible, too finding Dwayne [Johnson] and having him start voicing the character. And then what happens is, once you’ve cast it and [started] recording, you start writing to that voice. And so now you’re co-creating the character with your cast member and with the animators, and it starts finding its own shape and voice, and then it comes alive. And then it tells you what it wants to be. ITM: If you’re continually improving the movie until it gets released into theaters, does it feel incomplete in your minds when it’s taken away from you by the deadline? Shurer: It’s not incomplete in our minds, and I have to say at this stage, what happens is– we previewed the film about a month ago, [it got] great scores. People really loved the film, and we came back and then made changes. Nothing was broken, and we all felt like, ‘if we’d released that [version of the] film, that [would have been] okay.’ And yet, we could elevate it further. So we stop, we don’t finish. It’s the truth, John Lasseter says that, and it’s very true. But it feels complete, and it feels whole, and it feels like something now that I can’t wait to share with the world. You work on it, you work on it, and you work on it, and your family has no idea what you’re doing half the time until we finally get to release a trailer or a teaser. But once it goes out into the world and you start sharing it with people, that’s so exciting. It is so exciting to see people like it. One of the best gifts we have is to get a chance to see it with audiences. 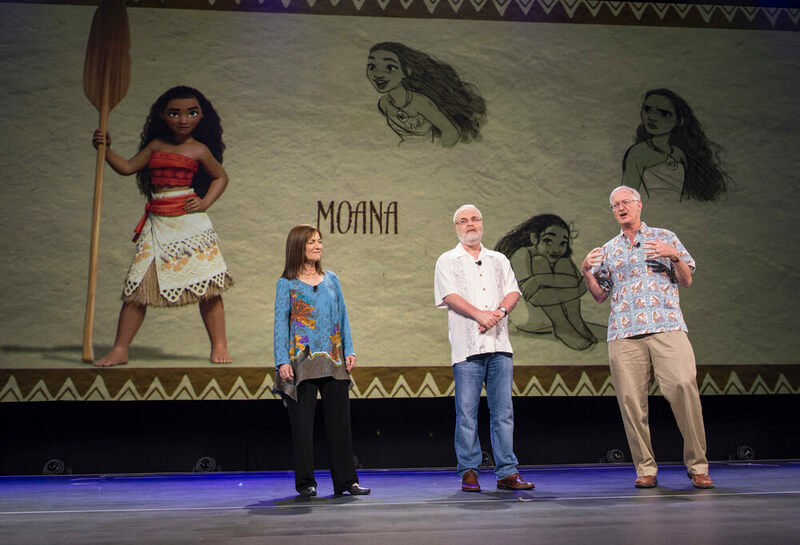 Directors Jon Musker and Ron Clements present at the “Moana” Press Day at Walt Disney Animation Studios. Photo by Alex Kang. 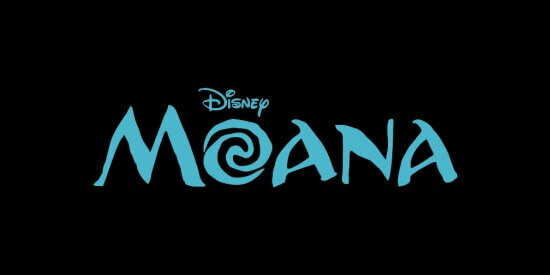 ITM: What do you hope audiences will take away from ‘Moana’? There’s a few things: one is, I really hope that the message resonates. We all have a voice inside us. We don’t always learn to listen to it. We don’t always tell each other to listen to it. We’re more and more, I feel, focused on what others are telling us we should be. So if people come out of [the movie] with that one message, it’s great. There are more in the film– I feel like there’s an observation about our relationship with nature that we could all learn a lot from, especially right now, about how nature is what we live with and honor and respect. Also, I really hope that the people of the cultures of the Pacific Islands will come out of this movie proud. “Moana” will be released in theaters nationwide on Wednesday, November 23rd. Images Copyright 2005, 2015, 2016 Disney. Here’s where you can watch ‘A Frozen Holiday Wish’ castle lighting at Disney’s Magic Kingdom live! VIDEO: New trailer for DC’s ‘Wonder Woman’ is action-packed! VIDEO: New trailer for ‘A Series of Unfortunate Events’ highlights Neil Patrick Harris as Count Olaf! Older Older post: Here’s where you can watch ‘A Frozen Holiday Wish’ castle lighting at Disney’s Magic Kingdom live! Newer Newer post: VIDEO: Get a backstage look at “Frozen, A Musical Spectacular” rehearsals for Disney Cruise Line!